2008 was another highly successful year both here and overseas for Elangeni. Elangeni dogs were awarded Best in Show Specialty, Runner Up Best in Show All Breeds, over 15 Class in Shows (both here and overseas) and too many Best in Groups, Runner Up Best in Groups and Class in Groups to count. We thank everyone for presenting and handling their dogs so beautifully but above all for your friendship and the good times. 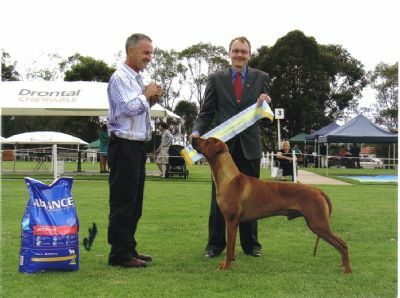 We look forward to the dogs achievements in 2009, on this Website we will be keeping an in depth record of their wins.